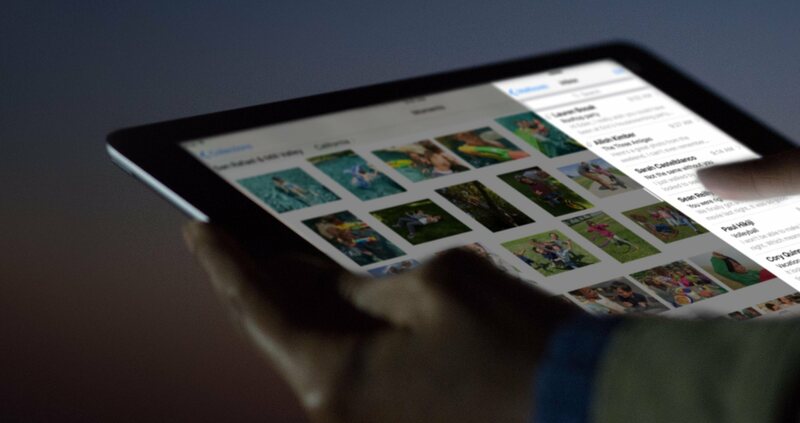 Posts tagged with "iOS 9"
Picture in Picture fundamentally transforms the video experience of an iPad. Now imagine if two of the biggest video services around also realized this. My iPad Pro Home screen. Four years ago, I struggled to move from a Mac to an iPad. Today, I only have to open my MacBook once a week. And I wish I didn't have to. In February 2015, after years of experiments and workarounds, I shared the story of how the iPad Air 2 became my primary computer. The article, while unsurprising for MacStories readers who had been following my iPad coverage since 2012, marked an important milestone in my journey towards being Mac-free. Three years ago, as I was undergoing cancer treatments, I found myself in the position of being unable to get work done with a Mac on a daily basis because I wasn't always home, at my desk. I was hospitalized for several weeks or had to spend entire days waiting to talk to doctors. I couldn't write or manage MacStories because I couldn't do those tasks on my iPhone and I couldn't take my MacBook with me. I'd often go weeks without posting anything to the website – not even a short link – because I couldn't do it from my bed. I began experimenting with the iPad as a device to work from anywhere and, slowly but steadily, I came up with ways to speed up my workflow and get things done on iOS. I promised myself I'd never let a desk set my work schedule or performance anymore. Being tied to a desktop computer isn't an option for me. No matter what life has in store for the future, I have to be ready to work from anywhere. I have to consider the possibility that I won't always be okay, working from the comfort of my living room. That means having a computer that can follow me anywhere, with a screen big enough to type on, and a higher degree of portability than a MacBook. That means using an iPad. That means iOS. The past 12 months have cemented this vision and raised new questions. But, more importantly, the iPad and iOS 9 have been essential to launching a project I've been working on for years. At this point, I can't imagine using a computer that isn't an iPad anymore. The off-cycle release of major new features in iOS 9.3 is quite a departure for Apple. The usual cycle until now has been for major releases to debut at WWDC in the summer and ship in September/October. For the education market, however, this schedule has been extremely difficult to deal with. School usually starts in August or September - in the northern hemisphere at least - and having a major platform upgrade happen right after school starts is hard to cope with. That has all been turned on its head. 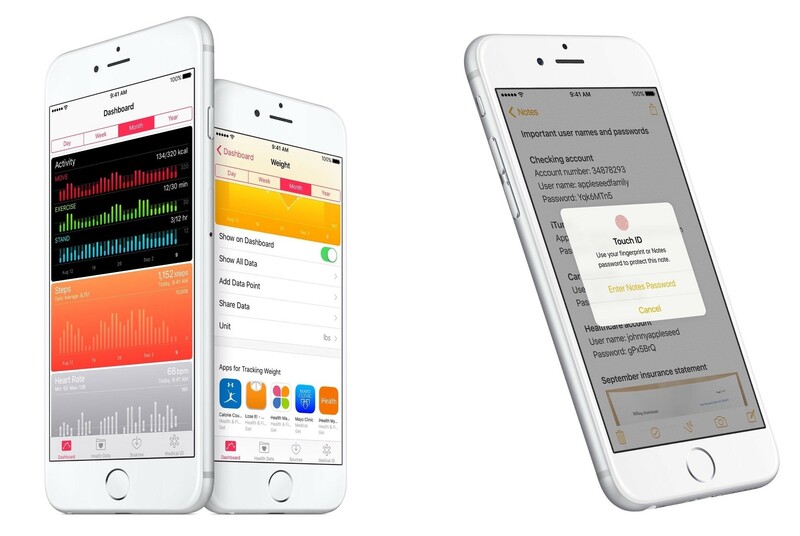 On January 11th, Apple announced the developer beta release of iOS 9.3. Unusually for a developer beta, Apple also produced the kind of iOS preview webpages that are normally seen in the time between the WWDC announcement of a new major iOS version and its eventual release. The eighties solved this with another piece of direct manipulation: drag and drop. Today, I bring the eighties right back into 2016 with my new open source library CoreDragon. CoreDragon lets you get rid of context menus, modal interactions and even copy paste, by allowing you to mark some areas of your application as things that can be dragged; and other areas as places where you can drop things. CoreDragon uses similar concepts as the drag'n' drop APIs on MacOS, and modifies them to work better in a world with view controllers. It works within a single application, and on modern iPads, between applications that are running in split screen mode. Take a look at the video Nevyn put together to demonstrate drag & drop in Split View. This isn't the first time I've come across this idea, and it's extremely close to what I imagine Apple will eventually add to the iPad platform. 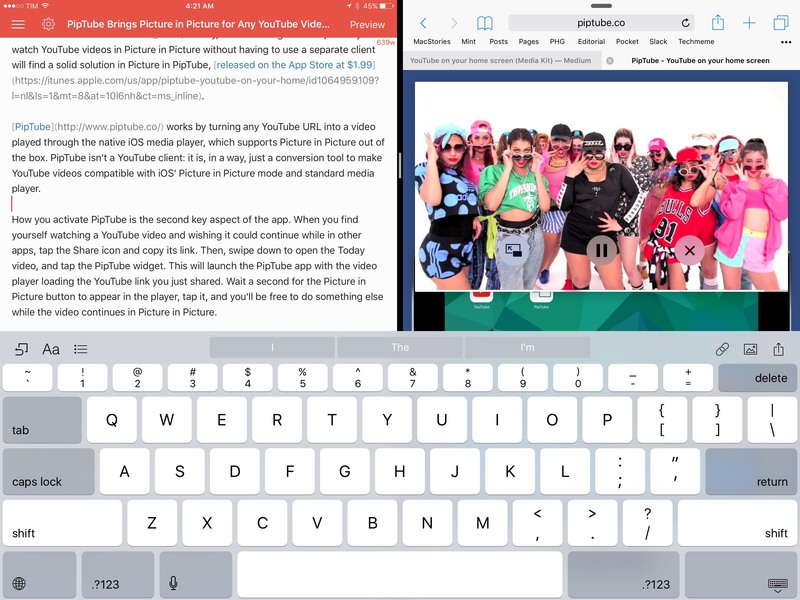 As I mentioned in my iOS 9 review, drag & drop is an interaction paradigm ripe for being reimagined by multitouch. Using the clipboard and extensions to transfer content between two apps running simultaneously is feeling outdated at this point, and I want to believe something similar to CoreDragon is in the works for the future of iOS. Nevyn has some interesting ideas on how to augment traditional drag & drop with multitouch, too. 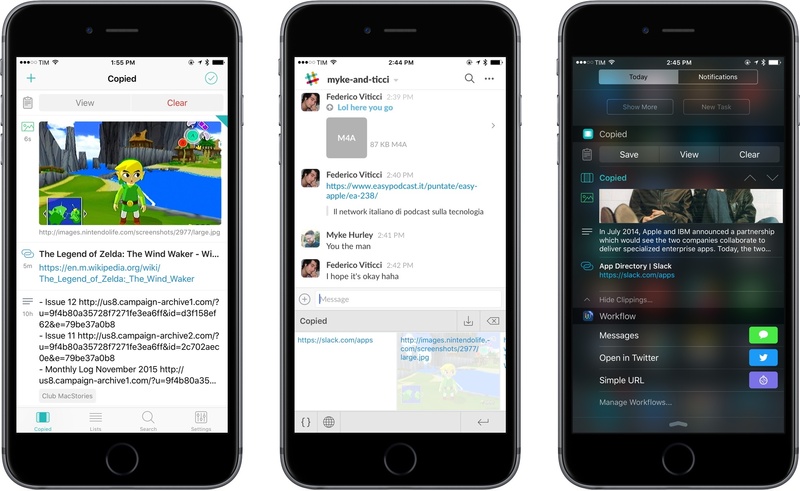 Earlier today, Apple released the first developer beta of iOS 9.3, which will introduce several new functionalities for built-in apps and for education users. To highlight some of the changes in this release, Apple has launched a mini-site with screenshots and descriptions of what's coming in iOS 9.3. This is a great list of suggestions for the built-in Videos app by Michael Tsai. The Videos app strikes me as one of the most outdated Apple apps across iOS – it was updated with a basic UI refresh for iOS 7, but its functionality largely remained unchanged. There's a chasm between the video experiences on Apple platforms – with the new Apple TV now out of the door, I think a complete revamp of the iOS Videos app should be taken in consideration this year. I first came across Copied a few days after its release in late October. Developed by Kevin Chang, Copied is a clipboard manager for iOS and OS X with iCloud sync and a polished interface – a fairly standard set of features, I first thought when looking at the app's product page. 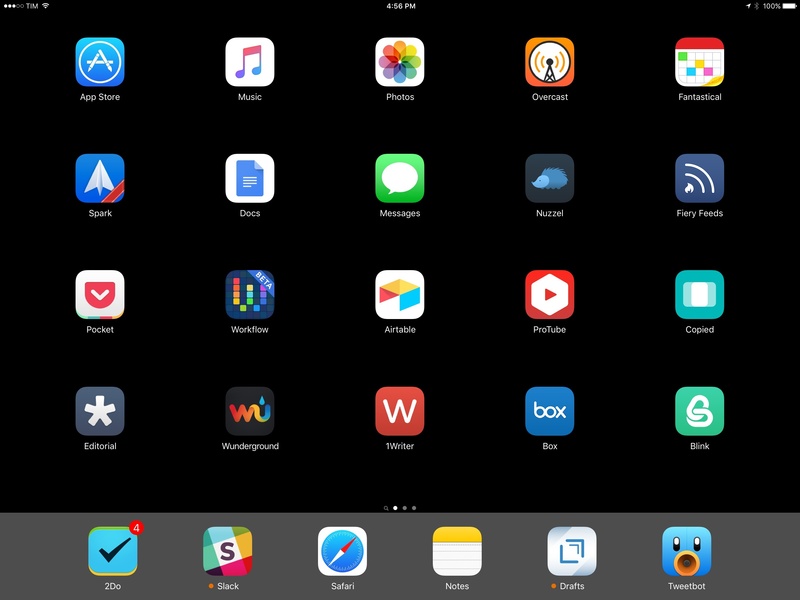 Over the subsequent couple of weeks, Copied played an essential role in helping me assemble my coverage of the iPad Pro, and it has since gained a permanent spot on my Home screen on both the iPhone and iPad. Copied has become my favorite way to quickly exchange bits of text and images between devices with iCloud, transfer URLs and templates I use for in-depth reviews and Club MacStories, and more. On the surface, Copied may appear like another clipboard manager for iOS; however, several nice touches in the app break new ground in this category, and I consider Copied one of the best app debuts of 2015.